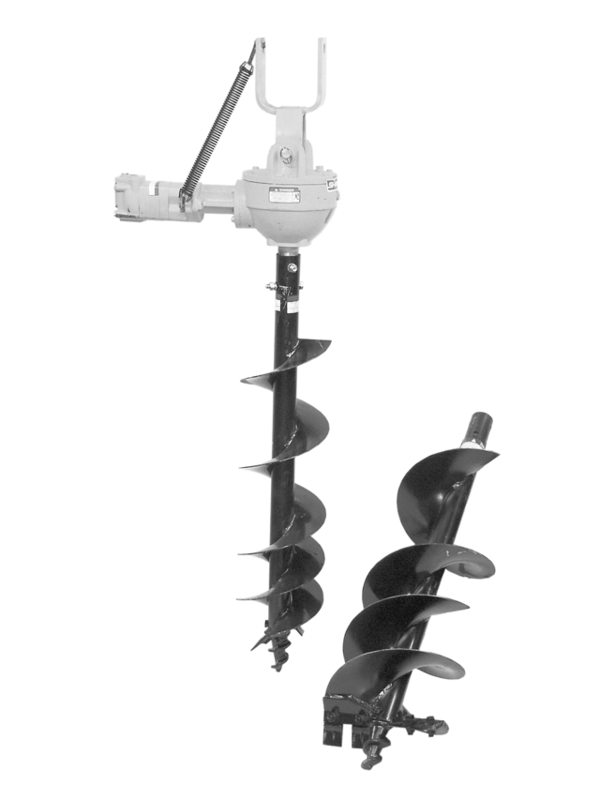 Complete hydraulic auger drive assembly which can be mounted to your HL900 Loader Bucket. Does not require a Rear Hitch or Power Takeoff. Does not include Auger bits shown. Requires: HL900 Loader and HC74 Hydro Circuit (MH4900).